Ace retailers checking out the Impulse program items – a new Level 3 reset. 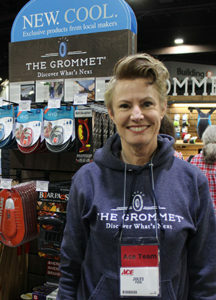 Thousands of retailers, vendors and employees gathered last week for the Ace 2017 Spring Convention & Exhibits. Of note this year were exciting Level 3 resets, debut products, department deals and choice conveniences. Get a recap of the show here and provide feedback by completing our survey. The Impulse booth in the Discovery Edge area was popular throughout the show. Retailers were eager to learn more about how to convert their front-end checkout, enrich their product assortment and increase their sales and transactions. 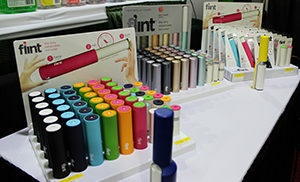 Not to be upstaged, the Best Brands booth and individual brand booths were also filled with retailers ready to stock product. The Store Planning team was busy answering questions from retailers about Level 3 resets and how they can make them happen in their stores. More savings now through April 17! 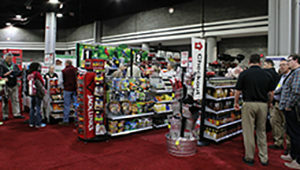 The show may be over but you can still capitalize on excellent offers from Savings Showcase, Holiday, Harvest, Halloween, Winter Goods and Merchandise Specials. These programs have savings of up to 50 percent off and include your customers’ favorite brands. Take advantage of these deals before they are gone! Visit your ACENET Event Planner now and select each program to review these exciting offers. Ace treated retailers to ample amenities to make their time in Atlanta seamless and enjoyable. These included sponsored coffee and beverage tables, free Wi-Fi, charging stations and more. Thank you for joining us in Atlanta for the 2017 Spring show. Now that you’re home, we want to hear from you. Please share your thoughts and experiences in our convention survey. It will take approximately 10 minutes to complete. The survey closes Friday, March 31.